How do you get a million and a half people out onto the streets, lanes and roads of Yorkshire? You could suggest re-naming the place I suppose (‘Lancashire’ has a nice ring to it...), which would definitely get the locals out of their armchairs and up in arms. Or you could put on a bike race – they love those in Yorkshire, ever since the Grand Départ of the Tour de France was staged there in 2014. That literally stopped the traffic and created a huge party atmosphere across the whole of Yorkshire, which made the tourism authority think. So in 2015 the Tour de Yorkshire was born – another huge success – and this year’s three-day race takes place over the May bank holiday weekend, starting in Beverley, East Yorkshire, on 29 April. 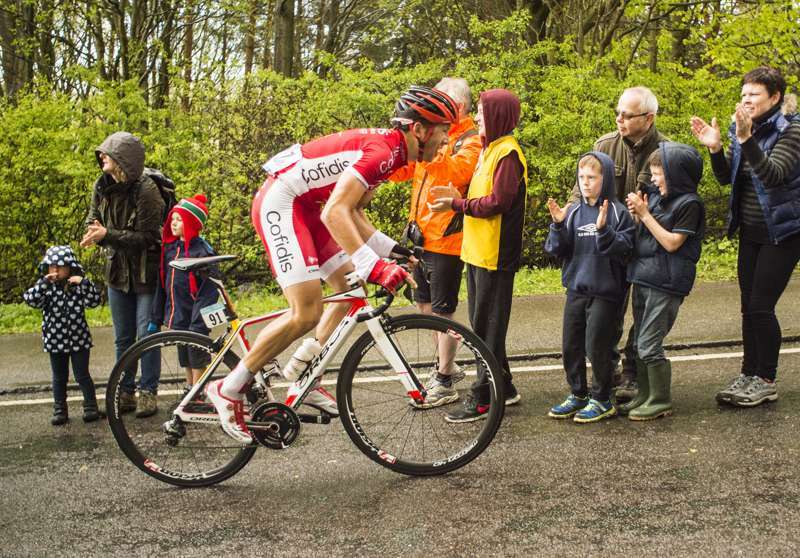 It's the UK's biggest cycle event in terms of spectators. Plus there’s a full roster of famous riders and international teams, including Team Sky – last year’s winners – and Team Wiggins, led by Tour de France winner, Brit icon and cycling knight Sir Bradley Wiggins. Three days make for three race stages – Beverley to Settle (186km), Otley to Doncaster (136km) and Middlesbrough to Scarborough (198km) – with a separate women’s race on day 2 and a chance for amateurs to ride the same route as the pros on day 3 in an open-to-all ‘sportive’. Every town and village on the 500-kilometre route is putting on a party, from carnivals to choirs and bands to big-screens, so wherever you choose to watch the race it promises to be a whole load of fun. What’s really great is that although the route passes through Yorkshire’s most enticing countryside – the North York Moors, Yorkshire Dales, Yorkshire coast and Wolds – it’s also a chance to celebrate some of the more unsung places in the region. Whether it’s Wetherby, Doncaster, Otley or Northallerton, race day is going to be pretty special for all concerned. You can check out the route – and all the event details – on the official Tour de Yorkshire website, and remember – if you find any Cool Places while you're about in Yorkshire, be sure to let us know!